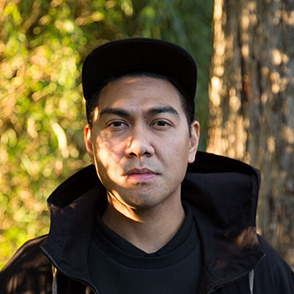 Mike Servito is from a very special yet temporary and partially lost fertile crescent of techno / house / party DJing. It was a time when raves were still a fresh idea, almost felt like a revolution, and DJs like Claude Young, D Wynn, Derrick Carter and Mike Huckaby were informing an upcoming generation. If you look directly to that inspired generation you will find the lost threads of Detroit Techno, House and beyond, you will find a group of DJs with insanely deep mixing skills, the ability to rock almost any kind of party with an improvisational approach that is so skilled it makes everything seem so well thought out that even they don't know where their set will go. But, it will take you there! In the future, this special generation of deep midwest mixers will be remembered and revered as the wizards they are, long after the trendy players have lost their luster.Detroit never forgot about Mike Servito, his upfront dirty deep and bitchy taste has had an impact on Detroit nightlife for over a decade. From debuting in 1995 at Dat's Poorboy parties, to being a resident at blackbx and Ghostly's Untitled (along with Derek Plaslaiko, Tadd Mullinix, Matthew Dear, and Ryan Elliott), contributing to the bizarrely popular, wild and free Dorkwave, to blowing minds at Interdimensional Transmissions' No Way Back parties, Servito has made his impression. Moving to Brooklyn, Detroit's loss has been their gain, as he has found a proper home with a residency at The Bunker, and representation by Beyond Booking in North America and Odd Fantastic in Europe.